From Petaluma American Little League to Petaluma High School to the University of California, Berkeley, Chadd Krist has always played baseball the right way. “Play as hard as you can, always,” Krist said. This attitude, combined with a love for the game, has given Krist success at every level of baseball he has played. That success led to him being drafted this year in the ninth round of the Major League Baseball draft by the Chicago Cubs. Krist could have already been a part of another Chicago team — the White Sox. However, after being drafted in the 13th round last year, he opted to stay at Cal for his senior year. “I wanted another year with my teammates and earning my degree was really important to me,” Krist said. It’s hard to imagine Krist being able to accomplish much more in his senior year. His career at Cal was a storied one. Krist came to Cal as a recruited walk-on catcher and quickly earned enough respect to play in 27 games, starting in 16 of them, as a true freshman. He made a huge leap in his sophomore year by starting in all 53 games and hitting .344 with 10 home runs. These numbers led him to earn first-team All-Pac-10. In his junior year, Krist started all 61 games, earned first-team All-Pac-10 once again and led Cal to its first College World Series appearance since 1992. He was then drafted in the 13th round of the draft, by the White Sox. To top it off, Krist was given a full scholarship in his senior season, started in all 54 games, broke a 20-year Cal record for career doubles, by knocking 64, earned his degree in American studies with an emphasis on marketing and then was drafted in the ninth round of the MLB draft by the Cubs. 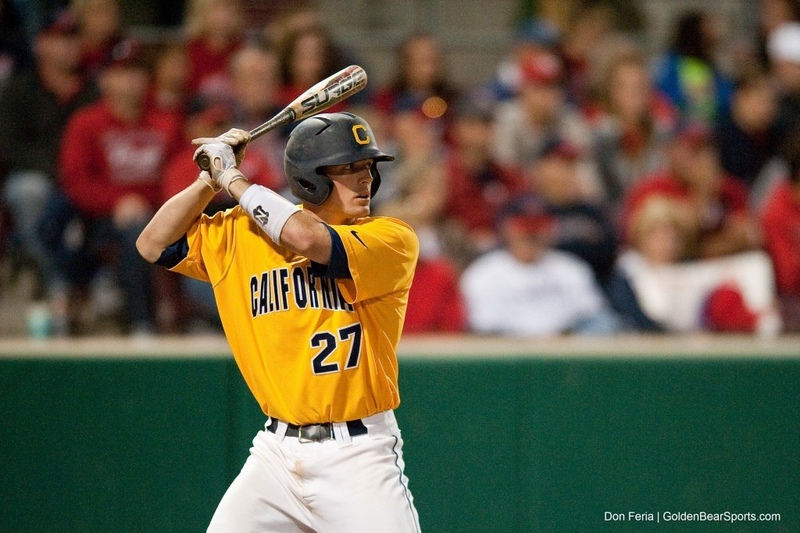 “I experienced all you can in baseball in my four years at Cal. I made a complete 180-degree turn as a player and wouldn’t trade it for anything,” Krist said. Many people don’t expect much from athletes coming from a small town like Petaluma. Krist has exceeded the small-town stereotype, and believes there is more talent in the area than people realize. “I am proud of being from Petaluma and being drafted, but people don’t understand the amount of talent around here. My team’s hitting coach is from Santa Rosa, and many of the best players I have played with are from Northern California,” Krist said. Krist has made an immediate impression in pro baseball. After batting .328 in 16 games in short-Season Class A ball for the Boise Hawks, he was advanced this week to the Class A Peoria Chiefs. Minor League baseball might sound like a luxury, but it is not for everyone. Krist is constantly on long bus rides and landing in small hotels. He lifts in the morning, catches the bus around 3 p.m., gets to the field where he has early hitting, has defensive work, more hitting and then the game finally starts around 7 p.m. He works around nine hours before the game even starts, but it is all worth it to him. “It’s a job, but you are with your friends all day playing the game you love. The fun easily outweighs the long day,” Krist said. It is an expected answer from a player who has always played with a confidence. After years of always playing the game as hard as he could, Krist hopes to soon be hitting balls over the ivy at historic Wrigley Field, and you can be guaranteed he will be having fun on the field doing what he loves.